Have you come across the situation when the website you’re trying to open is not accessible? Yes, it may be because your ISP is blocked or the site is blocked by your employer/school or even the government. So, how to unblock blocked websites? So, no matter what is the reason for blocking, at the end user ends with annoying. Sometimes when you are working from office or studying in an institution some required websites don’t open. Even you have some urgent work, you can’t open it. Now the question is how to bypass this? Do we have any option to unblock the blocked websites? What to do when the government has blocked some website in some particular country? A simple example can be Torrent sites! Not all people use Torrent to download videos, many use torrent sites to download books also. And so, you need a method to unblock the blocked websites. Well, the good news is, there are many ways using which you can access the blocked website no matter for what reason those are blocked. We will discuss all those reasons here to access the blocked websites and contents. Let’s start and see the different ways to unblock the blocked websites and see how you can use those. Methods are pretty simple and you don’t need to have any technical expertise to do so. Using VPN to access the blocked site is fairly easy and most popular method for everyone. Although there is many VPN software using which you can achieve this but today we are going to talk about one of the most reliable VPN called Hidester. Now let me explain how you can use Hidester to unblock the blocked website easily. We will also see the review of Hidester and check its features as well as pricing. Hidester is a VPN software which allows you to browse the internet securely and access the blocked sites as well as content. 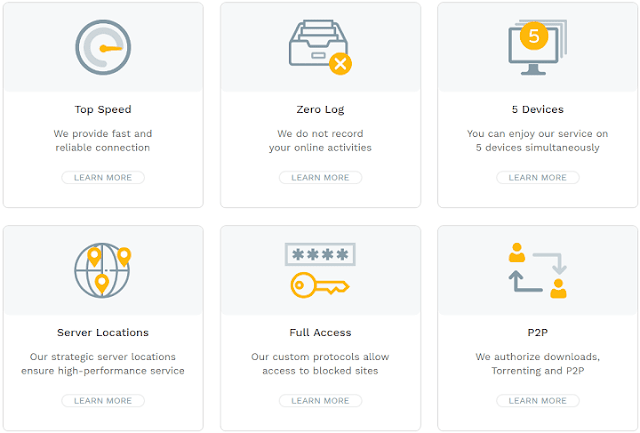 If you are more concerned towards security, Hidester can be your ideal choice for VPN. Installing the Hidester software is as simple as you install any other software like Microsoft Word package. Just download the installation files from the internet corresponding to your operating systems. Hidester is available for all the major operating systems like Windows, Android, and iOS and you should download the files as per the OS. Now just double click on it and start installing like you install any other software. Here you will have to choose the language, your location and main purpose for which you will be using Hidester. Once done, you will have Hidester installed on your system and will be ready to be used. Your system may ask you to allow Hidester which you should allow completing the installation and use. If you have already registered yourself on Hidester and bought the plan, you can login else you can go for registration. Currently, the software is in Beta but all the features are available for public and you can use it smoothly. Once logged in, you will have Hidester interface like below. You can connect or disconnect the VPN by clicking on the H button shown in the circle. You can also select the IP location from the list shared. You will have the privilege to select any of the IP given. There are numerous servers provided by Hidester and so you will have a wide variety of options available while selecting the IP. 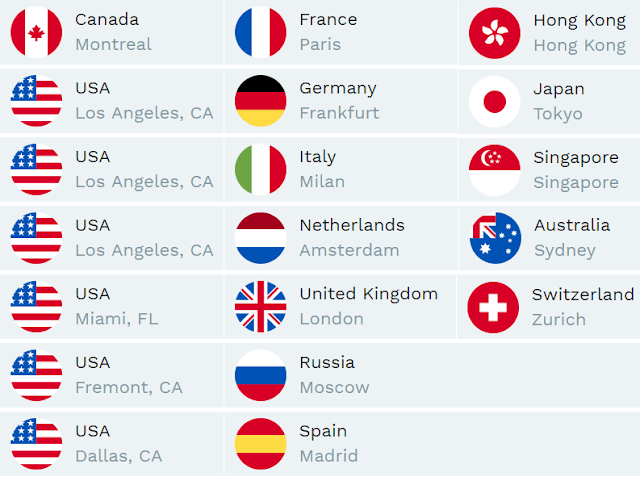 While using the Hidester VPN for accessing the blocked websites, you can select the server location of the country where that site is accessible. The beta version of Hidester is available at just $11.7 for 3 months. You can start with it and once you are satisfied, you can extend your contract by renewing it. Also, Hidester allows 7-days money back guarantee where you can ask for money back if you are not satisfied. They accept all the leading payment methods including Cards, PayPal, Bitcoin, Alipay, Union Pay, and WeChat. Here are some of the other features provided by Hidester which you can use and experience. Excellent Speed: This is the major worry any user has after using VPN. But if you’re using Hidester you won’t have to worry about the speed. The connection will be stable and you’ll experience the great speed of the internet. Through Hidester dashboard you will be able to see the real-time speed. 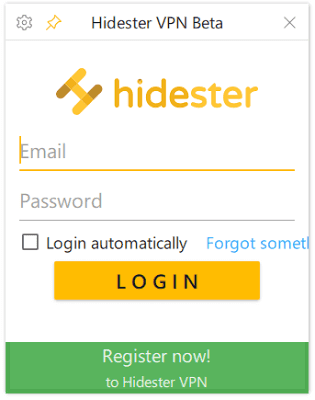 No Log Policy: Unlike many other companies, Hidester doesn’t store your login any form. They work on no-log policy and no matter what you’re browsing your details won’t be revealed. Internet Protocols: Hidester offers all the three internet protocols- OpenVPN, CamoWeb, and CamoVPN. Download Torrent Files Smoothly: You will be able to download any kind of torrent files smoothly and quickly. Also, you can experience some great speed while downloading torrent books. Server Availability: Hidester guarantee for 99.9% of server availability and you will experience this. You won’t find any kind of downtime with Hidester VPN. So, as you have seen, Hidester is one of the best VPN software for accessing the blocked content and websites smoothly. The price is also very less and allows you to use numerous features easily. If you are looking for a reliable option to unblock blocked websites, it is VPN and Hidester fulfills your need. This method to access the blocked site will work for those sites which are hosted on VPN or dedicated server and is using SSL certificate but the unverified one. 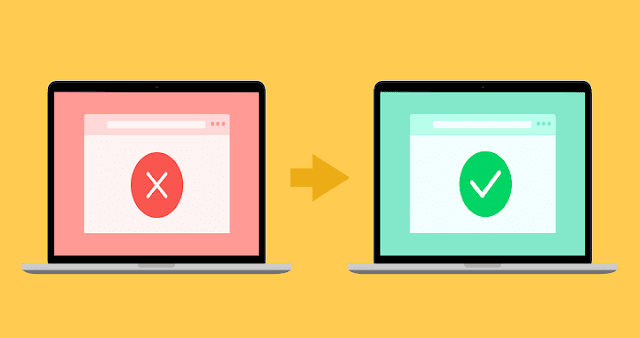 Here are the simple steps to unblock such blocked websites. Now instead of typing www.domainurl.com or http://www.domainurl.com, try typing https://www.domainurl.com. This will give you one message something like site’s security is not trusted. Just click on proceed anyway and you will be able to access the page and websites. This is a smart method to access the blocked sites. 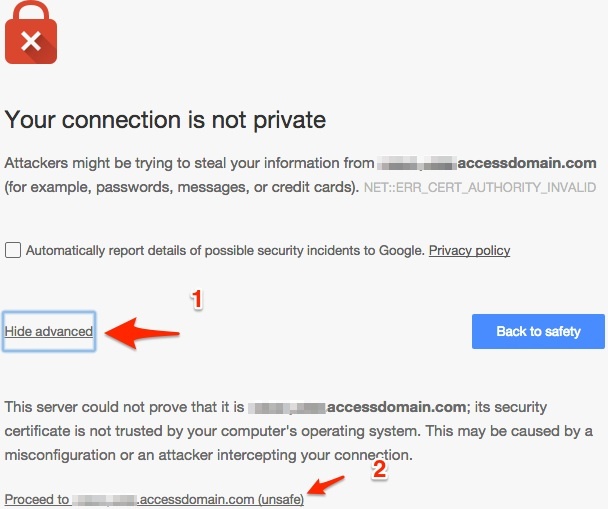 Just find the IP address of the domain you are trying to access and use that IP in the browser instead of the domain name. You can easily find the IP address of any website just by pinging the URL on the command prompt. Or you can also use any online IP finder to know the IP of any website. This is NOT the sure shot method but will work the majority of times. The idea is simple, just shorten the URL which you are trying to access and make it shortened. You can use any of these best URL shortener sites to shorten your URL for free. But as the short URL is also getting redirected to the original URL only and so you can’t be sure that this method will work. Most of the time this will work! Even at my workplace earlier TricksRoad was not accessible and was blocked. So, whenever I had to check the site for some purpose, I was using the cached version. Although the cached version of any page will not show the real-time page usually but still it will be the latest Google has cached your web page. If you are into internet marketing or a blogger, you might have checked internet archive to check the history of any domain or website. The same can be used to access the blocked site as well. Way back machine stores the cached copy like Google cache and you can check that as per the date. Just open the internet archive and hit the URL you want to access. The way back machine will show you all the cached copy based on date and month. Now you can select among that and browse through the page or website. Last but not the least, if you are unable to see any web page or website as it is blocked in your network or location, still you can access through RSS feed. 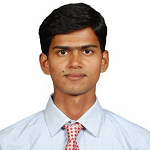 Just browse the RSS feed of that site and you will be able to access it clearly. Of course, the design and all won’t be there as it is the RSS version but all the contents will be there and you will be able to see the content, posts as it is on the original website. You can also use the sites like fetchrss.com to generate the RSS feed and check RSS feed of any website for free. This was all about how to unblock blocked websites. I have explained the top 7 methods we are using. Most of these methods to access the blocked websites will work for you. Although the VPN one is my favorite as it not only allows you the access of site but also keeps you secure while browsing the internet. You can try Hidester for this as I found it highly flexible, secure, and cheap software.